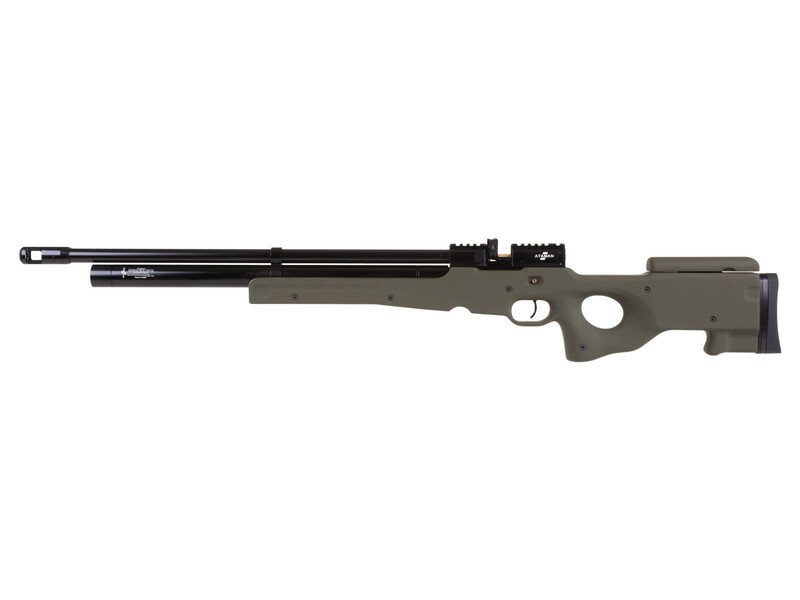 The Ataman M2R Tactical Carbine Type 1 Air Rifle features a stunning 4,350 psi (300 BAR) fill pressure, resulting in more shooting time between fills. The adjustable cheek piece enables the shooter to set up to fit them perfectly. 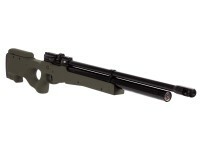 The stock offers easy shooting for right- and left-handed shooters. The stock is a soft touch olive that features a sturdy military look. 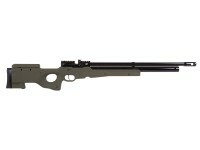 The .22 caliber version offers 38 ft. lbs. 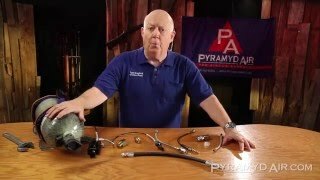 of shooting energy with up to 45 shots per fill. In .25 caliber, the gun delivers 55 ft. lbs. of energy and 35 shots per fill, while in the .357 caliber version throws out pellets with 144 ft. lbs. of energy with up to 11 shots per fill. The lockwork trigger mechanism is a two way adjustable, match-grade trigger, which allows you to adjust it to your pull preference. The gun also sports a pressure regulator for ultimate shot-to-shot consistency. Whether you fill the aircraft grade aluminum cylinder to 4350 psi/300 BAR or to a lower pressure of your choice, the regulator ensures that the Ataman will make the best use of the available air supply. Things I liked: This is the best Airgun for the price point . I own 4 Atamans . 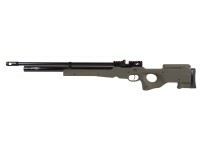 The Airgun is very accurate right out of the box. Trigger is very light and crisp, For the money and quality you can't find a. Eternal gun. Also very powerful. Things I liked: Shoots very consistently 910 908 fps for 11 shots when given a full fill. Very nice build quality. In .357 Its accurate enough to shoot starlings at 50 yards. Things I would have changed: Needs a place to mount a bipod or a sling stud swivel. There is a hole on the bottom of he stock near the rear stock screw for access to an adjustment screw. What does it adjust? I'm left handed. 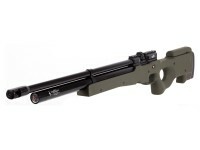 Is the sidelever on the Ataman M2R reversible like the Benjamin Bullpup?